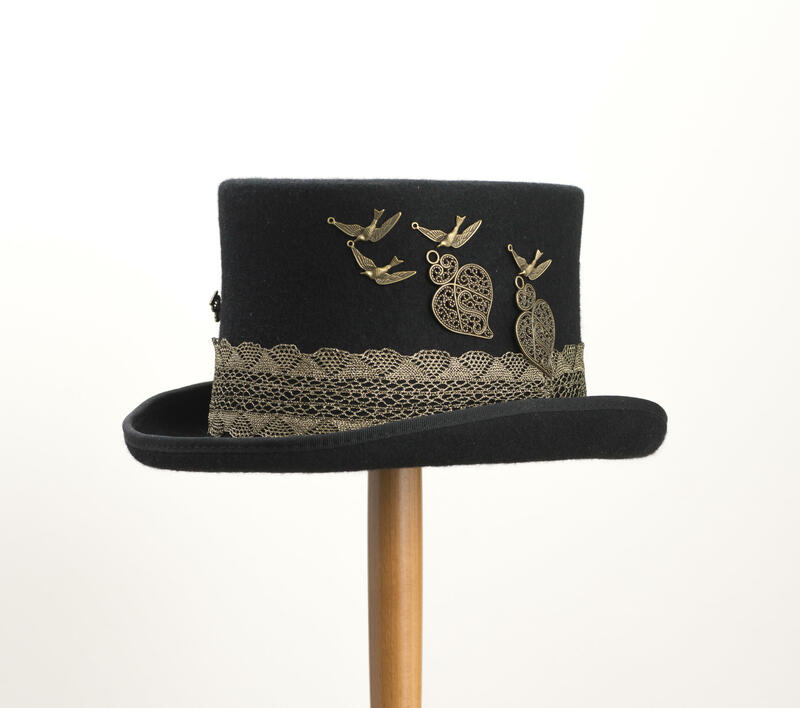 A hand decorated one-off by Adrienne Henry Millinery. Size Small (Approx 55 cm). 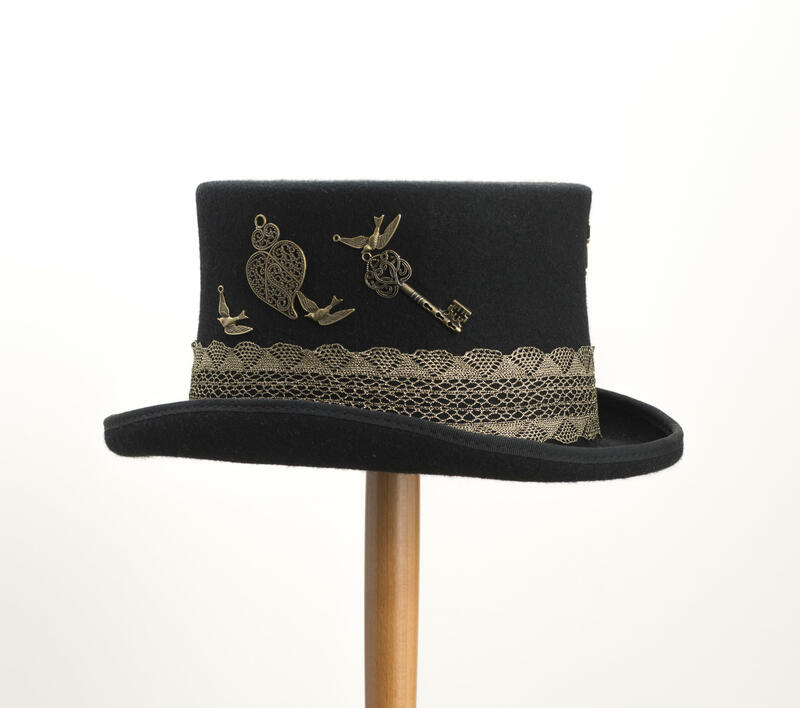 "Key to my Heart" - A black classic top hat with antique gold decorations. Decorated with a metallic antique gold lace ribbon, and antique gold coloured key, hearts and birds. All decorations are hand stitched. 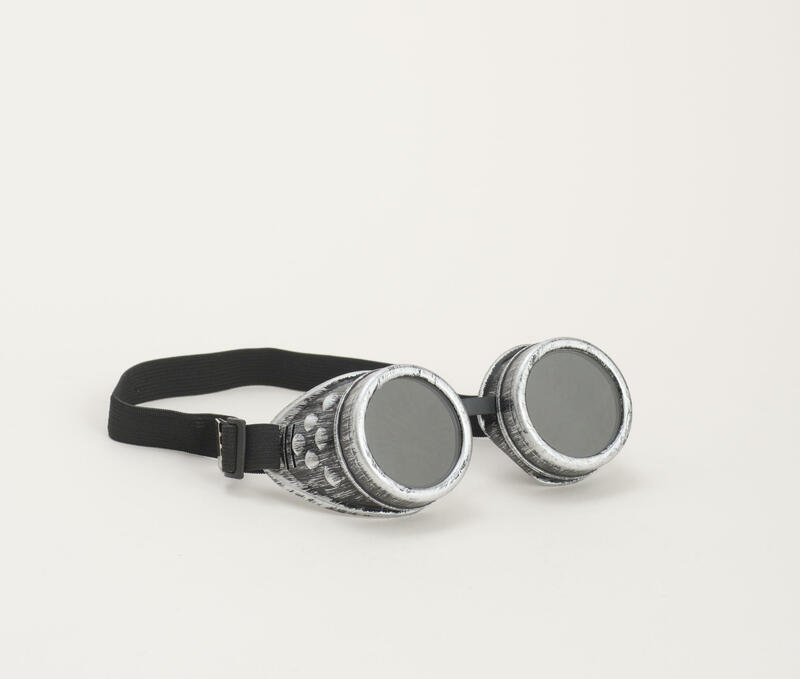 The hat comes with a free pair of removable bronze steampunk goggles. 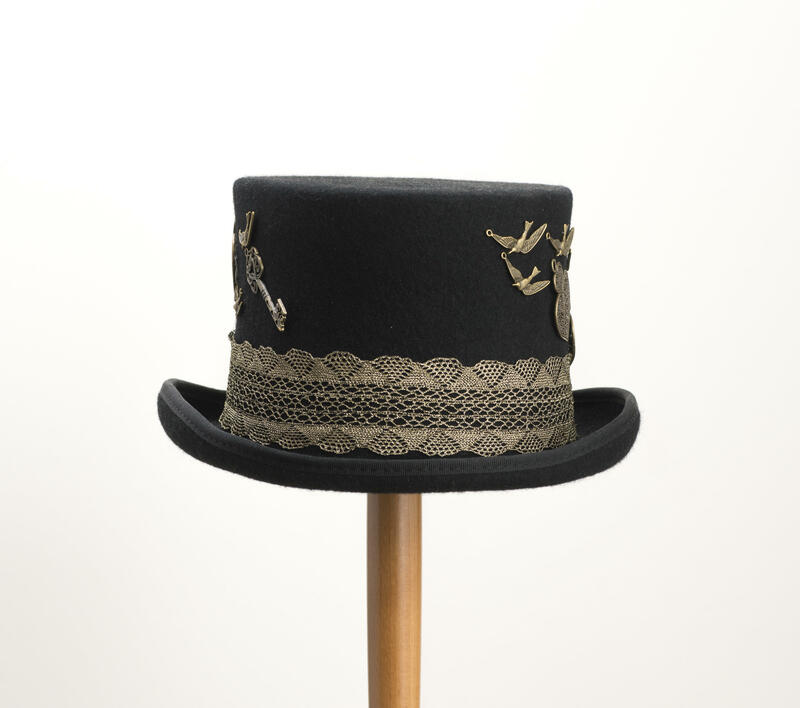 The classic top hat is made from 100% wool, and has a satin lining, and leather sweatband. The crown height is 12.5 cm. If you would like a steampunk Top Hat or Bowler made to your own design specifications, or size please contact Adrienne directly at adriennehenrymillinery@gmail.com or visit us in our shop.